Want to be paid what you are worth? Be your own boss? Have a flexible lifestyle? Create financial wealth? 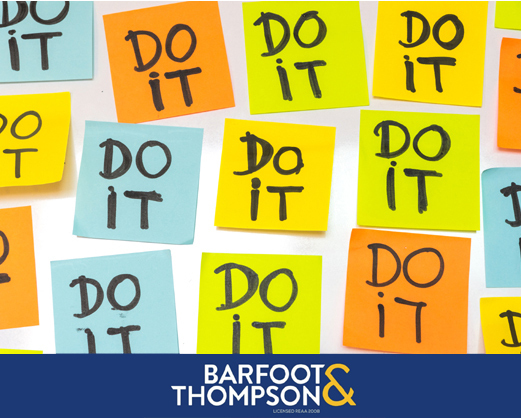 We are currently looking for people to start a career in real estate sales and those already established salespeople to join our awesome, fun, successful and supportive team at Barfoot & Thompson, voted the Best Real Estate Agency in the World. We are New Zealand's largest privately owned real estate company, still family owned after more than 90 years. Built on the guiding principles of honesty, integrity and service, we make one simple promise - to deliver the very best results for our clients. As a company we sell one in three Auckland properties, have rewarding levels of remuneration, leading technology, endless training and support to ensure you succeed and enjoy yourself doing it. To expand on our success we are holding a careers evening to outline some of the benefits of becoming a Barfoot & Thompson salesperson in one of our fantastic offices. Why real estate is such an awesome career? How to get started and the cost? Followed by questions and answers, drinks and nibbles. (Q3) Which of the following statements best describes your right to work in New Zealand?